Located on the border of Tuscany and Umbria, this eleventh-century castle has recently been restored. Torre di Fiume can be found near Lake Trasimeno and during the Middle Ages was on the front lines of the conflicts between Italian city-states. The existence of the fortress was even noted on the maps located in the Gallery of Maps room in the Vatican. By the end of the 20th century the castle had fallen into ruins, but the current owners undertook a large-scale restoration. 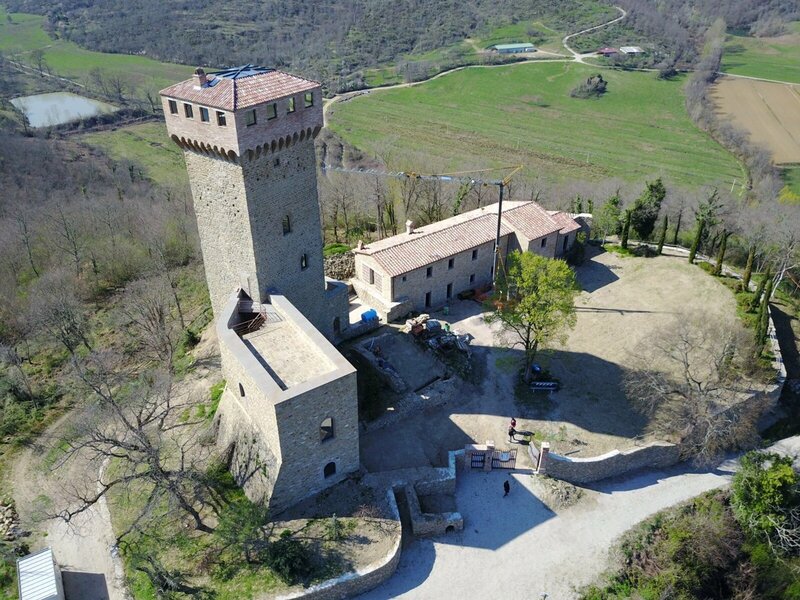 Torre di Fiume – Castle for Sale! First floor: bedroom with en suite bathroom, bedroom with en-suite bathroom and terrace. Fifth floor: corridor, bathroom and laundry room. Torre di Fiume before its restoration in recent years. The remaining part of castle is laid out on two levels and includes several more bedrooms, kitchens, a hall and an internal pool. The property itself is over 6500 square meters in size, and includes 300 olive groves as well as a pine and cypress forest. ​For more details about this castle, please visit the Torre di Fiume website.